Perhaps rice pudding conjures up bad memories of school dinners. But recently we made a luxurious, creamy affair for our Christmas dessert. And there’s been no looking back. It is such a simple, forgiving and generous dish – allowing you to ignore it completely and add any combination of ingredient. It never fails to be a winner. And this rose water and quince version below is bound to impress everyone. Feast your eyes on that …. Rice pudding is, unsurprisingly perhaps, also very common in India where it is very, very sweet and often eaten at the temple. Again, any combination of nuts, spices or dried fruit will work well. Hari Ghotra’s version below uses basmati rice but she says it will work just as well with short grain/pudding rice too. In our house we often end up giving our children pudding for breakfast as it gets too late in the evening for them to eat sweet things once they have finished dinner (the realities of being working parents and not collecting the children until 6pm). So to herd them off to be happily they are promised pudding for breakfast. 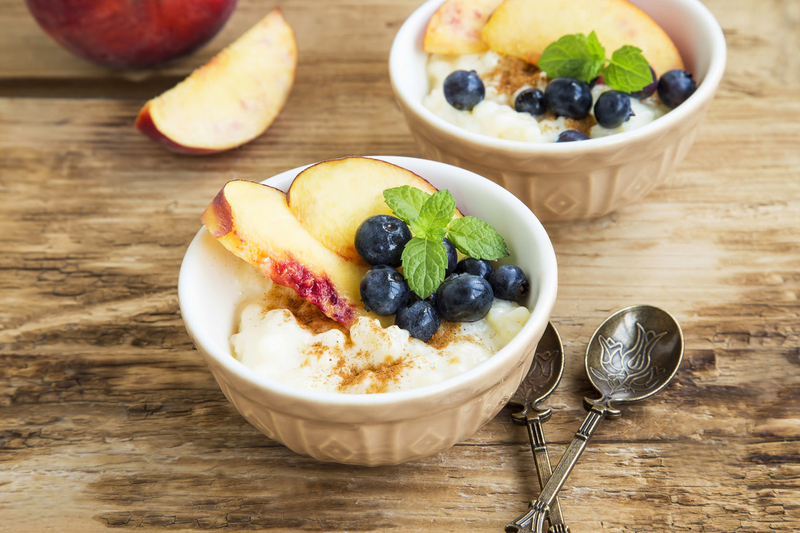 So we are delighted to be able to share this breakfast rice pudding recipe with you. Which can also be made the night before. Why should oats get all the overnight glory? Rice can also be used to make a decadent chocolate orange GLUTEN-FREE dessert. And believe us when we say it is as delicious as it looks.